Free leadership course for UWA students runs 16 - 19 July. A new program that gives you practical, real-world experiences, skills and knowledge to help you embark on an enriching career journey ahead. Whether you’re a new or existing student, broaden your opportunities with this exciting six-week program of activities. Share your feedback to win an Apple watch or one of three mobile battery chargers. The following has happened. We are attempting to do x, y and z. For the latest info please go to here. 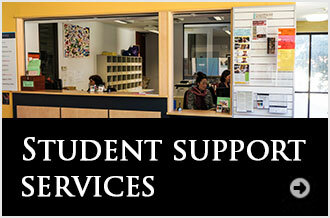 To help you on your journey through university, UWA has plenty of services and resources online and at Student Central. Record and manage your enrolment in studentConnect. Check the teaching timetable and record your preferences in the Class Allocation System (CAS) to get the class times you want. Your results are published on studentConnect approximately three weeks after examinations finish. Log in to studentConnect to see your unit results. Everything you need to know about fees and when they're due. The UWA Handbooks are designed for both students and staff and contain comprehensive information on both undergraduate and postgraduate courses. Find out everything you need to know about starting your study at UWA. Get on campus and all the information you need to settle in to your studies. The team supports your transition to university. Information to help with your arrival in Perth.